The JET is a bright saxophone mouthpiece with excellent projection, extra easy altissimo register and yet can be played with a warm versatile feel. It is a free blowing, easy and fun to play mouthpiece that captures the full range of tonal qualities of the instrument. It has a clean, focused sound with strong projection and cut, while maintaining extraordinary versatility. The JET is a great saxophone mouthpiece that appeals to a very broad variety of players. 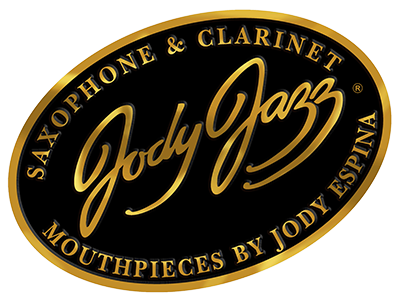 Click the button below to add the Jody Jazz Jet 7 Alto Sax Mouthpiece to your wish list.